First of all, if you’re not an Amazon Prime member, why not? You can join for a great price here under my referral link; two-day shipping is FREE on over 20 million items at Amazon.com! From snap tabs to bibs to zipper bags, Little Bee wants you to be armed and ready to embroider any in-the-hoop (ITH) project at any time! Here are a few of my favorite supplies for creating amazing ITH projects with my embroidery machine and designs from Designs by Little Bee. First, let’s talk about snaps. There are lots of places online to purchase snaps; my favorite to recommend to beginners is this set from Amazon, because it’s less than $20 for everything you need to get started: hand press, awl, and a rainbow assortment of snaps! Next up is my favorite brand and style of scissors for cutting the corners and edges of intricate ITH projects. I recommend these curved Kai scissors or these Gingher curved scissors. For vinyl – marine vinyl, glitter vinyl, specialty vinyl that feels like a football or basketball, and so much more! – I recommend MiKri World Supplies. Their prices are great, shipping is reasonable, customer service is great, and they have a very active Facebook group for sharing projects and asking questions. When making a snap tab, there is assorted hardware from which to choose. Split key rings work just fine, and you can get them very cheaply! Check out this pack of 100 for less than $10 shipped! 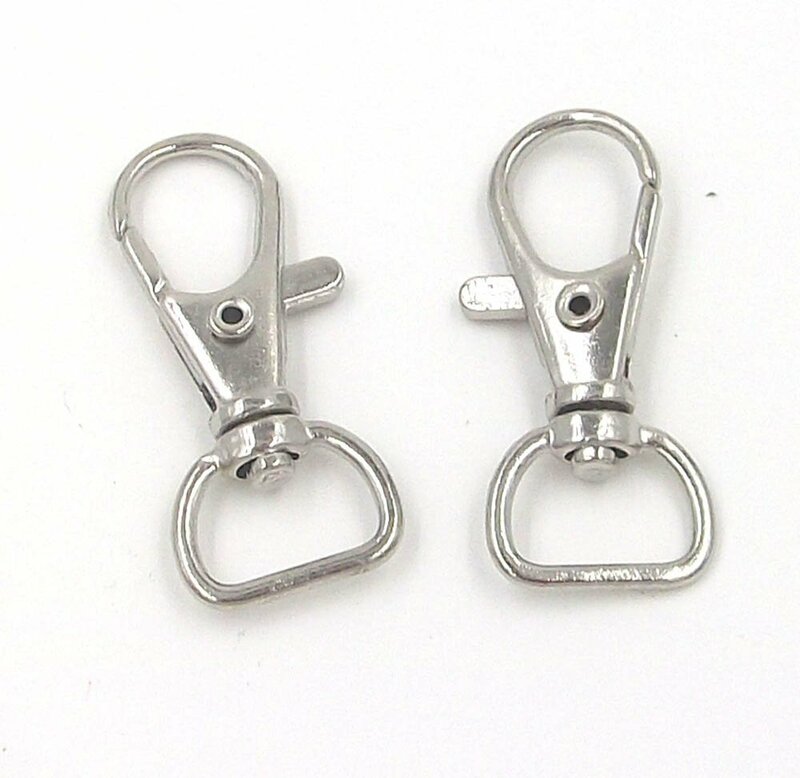 If you’re hooked on the idea of the lobster-claw D-ring style hardware (left), those can be found at many places online. They go by many adjectives, including lobster claw, metal swivel clasp, and keychain D-ring. 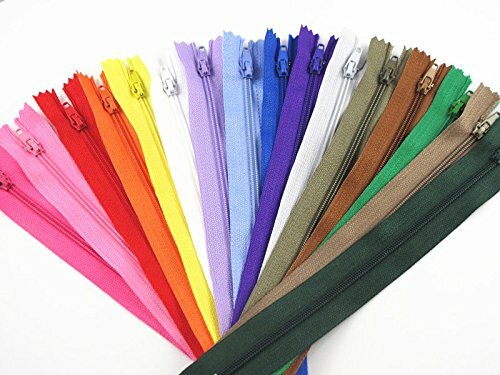 When you’re making items with zippers like my variety of ITH bags at designsbylittlebee.etsy.com, you can find an amazing assortment of colors and lengths, including this set that I just bought the other day. There are other sets too. You can’t even beat these prices shopping overseas!! There is also a variety of hardware for purses available out there. 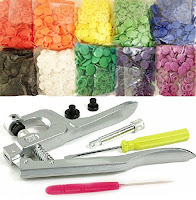 Many craft stores like JoAnn carry a selection of hardware like slide adjusters and D-rings. You can also order them many places online. Slide adjusters are what you use to make adjustable straps for purses and bags, and they come in silver, gold, bronze, or even a variety of colors! For looping the adjustable straps, connecting to ribbon or other bag, you’ll need D-rings. Not ready to sew or make your own straps for a crossbody or wristlet bag? There are lots of options available online, from a PU (man-made/faux) leather strap to playful nylon straps in every shade of the rainbow. 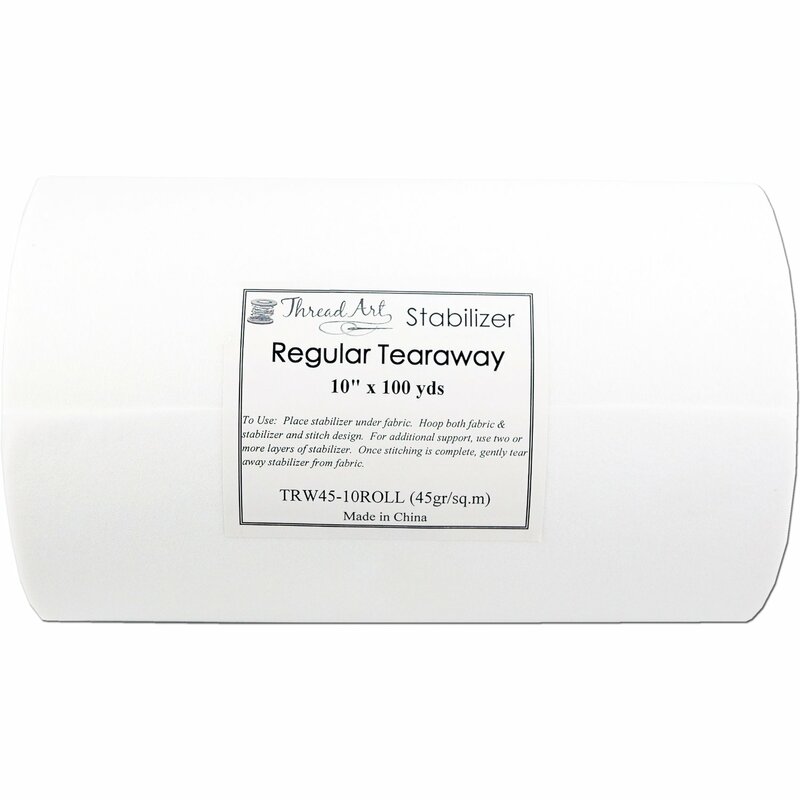 Stabilizer is always a hot topic in embroidery, and for ITH projects you’ll want something sturdy. 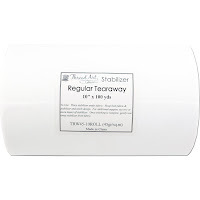 I recommend ThreadArt tearaway stabilizer. I use a lot of tearaway, so I buy this giant 100-yard roll and it lasts me quite a while. World Weidner is also a great store from which to purchase stabilizer. I regularly buy their cutaway stabilizer; this roll is only 20 yards long, but I don’t do much clothing so I use more tearaway than cutaway. Did I miss any ITH must-haves? Comment below and I’ll add to this blog! I would recommend a sturdy pair of Non-Marerial scissors. I use the fiskers 7 inch school scissors with a nonstick blades. Most ITH projects are "floated" so you usally have some form of adhesive on your project. These scissors slice through the layers with ease without getting gumming from adhesive residue.